My catalog’s bigger than yours: After an earnings beat, a little chest-beating. I stream, you stream, we all stream online video. If you’re going to commit to a subscription streaming service, here are some things to consider. Just about there: Some streaming, some DVDs, some online rentals. $8 a month. Reed Hastings’ exclusive deal to get digital rights for movies you’ve heard of — like “Iron Man” and “The Hunger Games” — has expired. Which means his competitors get them, too. Wall Street doesn’t like it one bit: NFLX trading down 14 percent. Another competitor gears up to take on Netflix. But this one will focus on movies — and DVDs. Andreessen Horowitz has invested $10 million in Belly, a Chicago-based company that is building a loyalty network for retailers that will replace punch cards with mobile rewards. Netflix Says It’s Back to Boom Times. Wall Street Isn’t Convinced. Netflix says 2012 is going to be great. Wall Street remembers 2011. Comcast’s Netflix Killer Isn’t One Yet. But It Could Be. 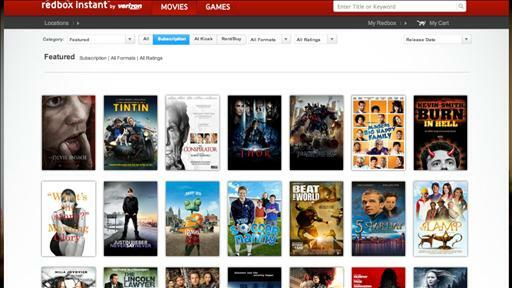 Comcast won’t sell you its new Web video service unless you’re a Comcast cable subscriber. But it could change that overnight. NCR's DVDPlay Buy Sets Up Battle, but Is Fight Already Over?